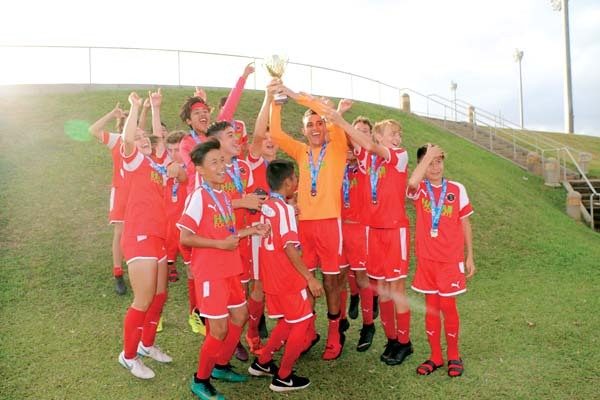 WAILUKU — No matter if it’s the state championship or a relaxed Maui Interscholastic League meet, the team relay races always draw attention. During MIL meet No. 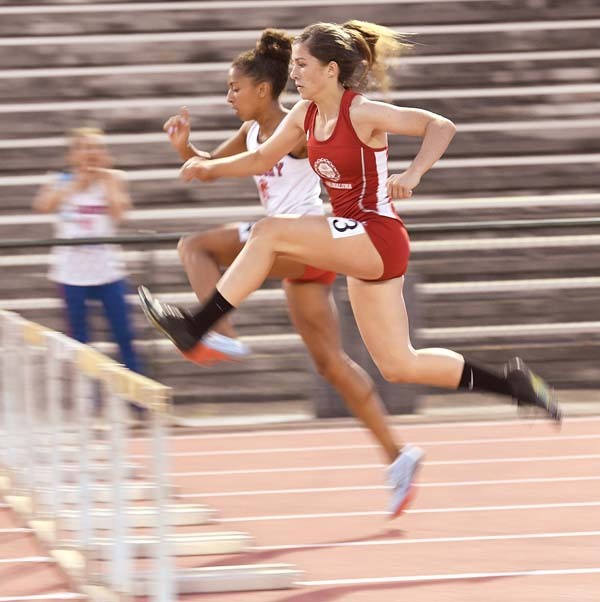 4, crowds lined the fence while the Seabury Hall girls and Baldwin boys took first in the 1,600-meter relays Friday night at the Yamamoto Track & Field Facility. The Bears are ranked third in the state with a season’s-best time of 3:32.73, just behind Maui High (3:32.71). After winning the 1,500 and 800, Seabury senior Chloe Gangnath raced the final leg of the 1,600. The Spartan girls finished with a time of 4:21.60. 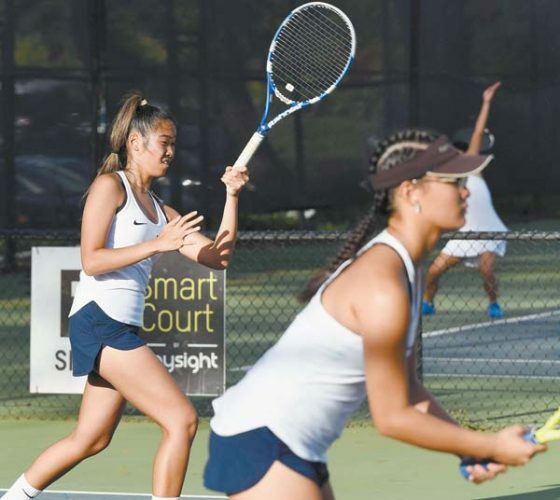 The Bears and Spartans both have their minds set on the state meet, set for May 3-4 on Maui. 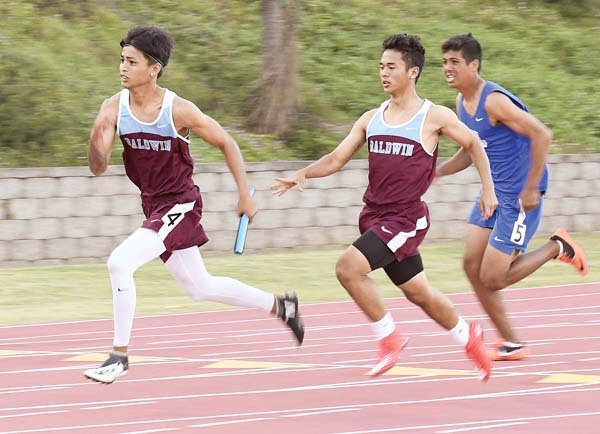 In the 400 relays, the Baldwin boys’ A, B and C teams almost swept the field by taking the first, second and fourth spots — Maui High claimed third place. The Bears’ A team finished with a time of 45.80 seconds; Baldwin is currently ranked No. 3 in the state at 44.09. In the girls 400 relay, Maui High beat out the Bears with a time of 54.09. Friday’s meet served as the last practice meet before the stretch run to the MIL and state championships, giving athletes a chance to either try new events or fine-tune their speed, strength and techniques. 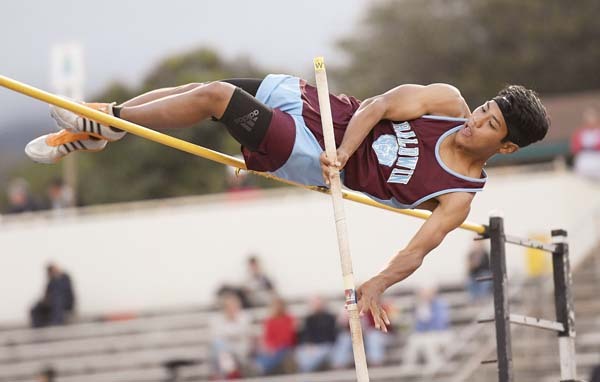 Many top MIL runners and throwers from Maui High, Seabury, Baldwin and Kamehameha Maui did not compete Friday in preparation for today’s Ruby Tuesday Track and Field Invitational — the meet on Oahu will host many of Hawaii’s top state contenders.